One of my all-time favorite blogs is Lindsey Pollak’s career advice blog, which was recently named by Forbes as one of the Top 100 Websites for Women. Lindsey is a Generation Y career expert and LinkedIn spokesperson. 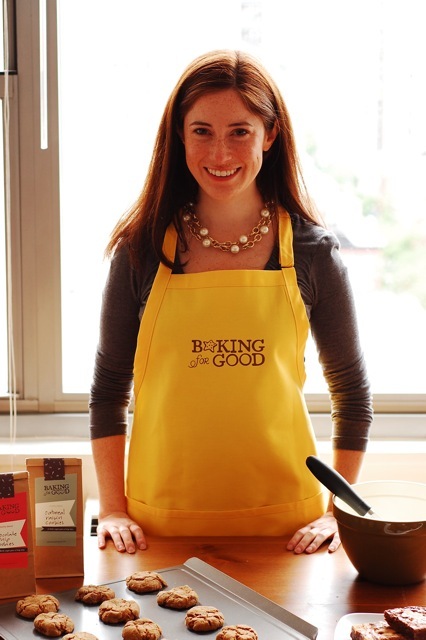 Last week, Lindsey interviewed Emily Dubner, a social entrepreneur and the founder of Baking for Good. Baking for Good, an online bakery that gives 15 percent of every purchase to charity, works with more than 200 nonprofit and community organizations. I’ve always thought that it’s especially important to keep a “social good” factor in mind when choosing a career or starting a business. Emily is a great example of a way to combine a passion — in this case, baking — with, well, good. Check out the full Q&A here on Lindsey’s career blog. What do you think about integrating charity work into a career choice?